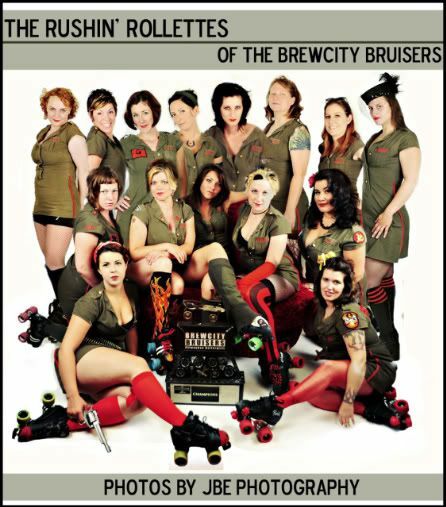 Ex Hot Girl: Rushin' Rollettes, part two. So... I got to do a makeup shoot today with three girls who missed the big shoot. And that meant, I got to finish the group shot! Click here for the photos from the shoot. Congrats on the awesome loss! Great picture (as they all are), and congratulations on your weight. Love the photos! You can totally get to that goal. Keep up the great work.